Jon McGrane explains how the transition in ownership of Glasgow, Aberdeen and Southampton airports to AGS impacted on their IT infrastructure and how a new working model was achieved. 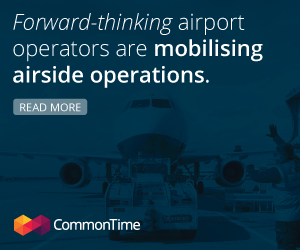 Every airport is different, but what they all have in common is the need to be flexible and quickly adapt to external factors while at the same time planning for the future. One of the areas that evolves particularly fast and has a key role in airport operations is technology. Being ahead of the technology curve can streamline processes and increase productivity, while struggling with it can disrupt operations and ruin the passenger experience. In December 2014, a 50:50 partnership between Ferrovial Airports and Macquarie’s MEIF4 fund acquired Aberdeen, Glasgow and Southampton airports from Heathrow Airport Holdings (HAH). The simultaneous separation of three airports from a centralised structure was unprecedented in Europe in recent history, and posed many challenges. 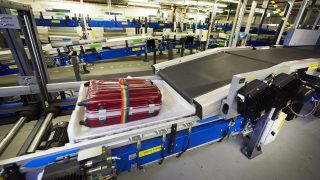 However, the redevelopment of its IT systems and services towards a new and customised model –no longer linked to Heathrow’s processes and fit for its new size– was carried out in a record 12-month period without the loss of a single unplanned hour in the operation, setting a new benchmark for rightsizing airport support systems. A key factor of our success was setting the right governance structure for the project. By recognizing the importance of the transition to a stand-alone organization, we established a dedicated team which included the shareholders. 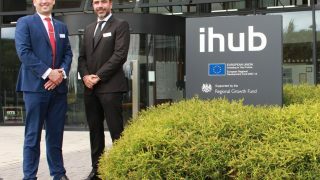 Under a central Programme Director, several working groups were created at both technical and strategic level, including some in conjunction with HAH in order to develop solutions that were suitable for all parties and could be delivered within the tight time scales. The Project Management Office and the transition of the IT systems were assigned to Affini and Lion & Gazelle, two companies with substantial experience in airports and airport technology which coordinated a team of up to one hundred external experts during the project. After setting up this dedicated governance structure, two paramount objectives were set. The most important one was to maintain the operations of all three airports without any disruption during the transition period. The second was to move towards a systems environment that would satisfy current and near future requirements, while providing the best life-cycle cost proposition. Impact on airport operations would be minimized. Business processes would remain unchanged if possible. Transition period would be minimized. Opportunities for transformation and simplification would be pursued. Centralization would be considered if there was a financial sense. Clean, agile and simple delivery would be valued. The IT transition was structured into four portfolios: Airport Operational Systems, Back Office Systems, IT Infrastructure and IT Service. The total number of projects across these portfolios amounted to over a hundred. The systems and services analysis based on the needs of the business and its end users provided some interesting insights. In some cases, it unveiled substantial gaps between what some products and services were providing and what the organisation actually required. In most cases, what was demanded by the users was a simpler tool and a more customised service. By the end of the transition project, 65% of the systems had been transformed. The most relevant transformational subprojects were those related to the Enterprise Resource Planning (ERP) system and the provision of the IT services. In both cases, the supplier changed from a tier one to a tier two category, which was more suitable for the required needs. As a result of these, there was also a cost saving impact of more than 10%. The new ERP system changed to Unit4 Business World and was implemented for finance, human resources and procurement functions. It took just seven months from the point of contract signature to go live on the new platform. The main factors of success were the selection of a vanilla product with absolutely no customisation; the full engagement with the business end users upfront; and the close working relationship with the supplier. The IT support services contract was transferred to Getronics in a period of four months from contract signature. The main areas covered by the new supplier are service desk, infrastructure management and support. A set of Service Levels Agreements were established and met after only the second month of the new operation. One direct consequence of the change is that the response time has improved by 30% and, therefore, productivity of end users has increased. But the most important outcome of this transformation is that the employees, who are the direct users of most of the services, are now more satisfied. That is why we encourage all other parties involved in separating pre-existing airport groups to leverage such a deep and comprehensive transition as an opportunity for transformation and improvement. Aberdeen, Glasgow and Southampton are a great example of the many benefits to that approach, as today all three airports are in a better position to face new challenges and take advantage of technological developments such as digitalisation, data integration, and big data.